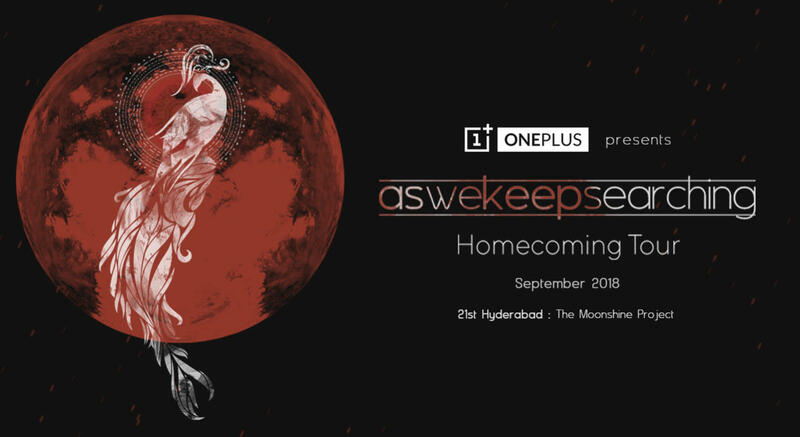 Aswekeepsearching, in association with OnePlus, brings their homecoming tour to 8 cities with a mix of new and old songs and a new set list with the band taking a new direction towards live shows and songwriting. With 2 critically successful studio albums, a 15 city Europe tour, and a 5 city Russia tour, Aswekeepsearching has been turning heads and perking up ears over the world. Hailing from sunny Ahmedabad, Gujarat and formed in 2013, the outfit comprises of vocalist/guitarist Uddipan Sarmah, guitarist/keyboardist Shubham Gurung, bassist Bob Alex and drummer Gautam Deb. Intriguing and enamoring all that they touch with their sound, the band has joined ranks amongst the most sought-after acts in the country. The band, fuelled by idealism and the drive to build something beautiful, are set out to move mountains. Between Khwaab and Zia, the post-rock outfit has played across some of India's esteemed festival stages, including The Dunk Fest!, Bacardi NH7 Weekender, Ctrl Alt Del, Into the Void and Indie March, sharing the stage with Steven Wilson, Caspian, Tides of Man, 65daysofstatic, Steve Vai and many more. Be it their music or their live shows, Aswekeepsearching have always been a band to create a spectacular experience for the fans and have been a band to watch out for!